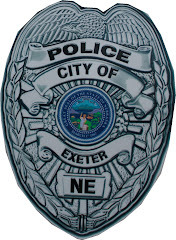 The Exeter Public Library is looking for old Exeter High School yearbooks – the older the better! We already have the years of 1940, 1947, 1961, 1962, 1964, 1965, 1973, 1976, 1977, 1979, 1981-1983, 1985-1995, 1997-2001, and 2003. If you have a yearbook (other than those listed) that you would like to donate to the Library, please call the Exeter Public Library at 402-266-3031 or email epublib@hotmail.com. Hours are MWF 8 a.m. – 5 p.m. (closed over the noon hour) and Saturday 9 a.m. – noon. -Tuesday, May 17, 5 p.m. – 7 p.m. coupon clipping and sorting at Exeter Public Library. -Coupons collected will be donated to overseas military bases. -Only manufacturers’ coupons can be used, NOT restaurant or store coupons. -Coupons that have been expired up to six months can be used on military base stores. 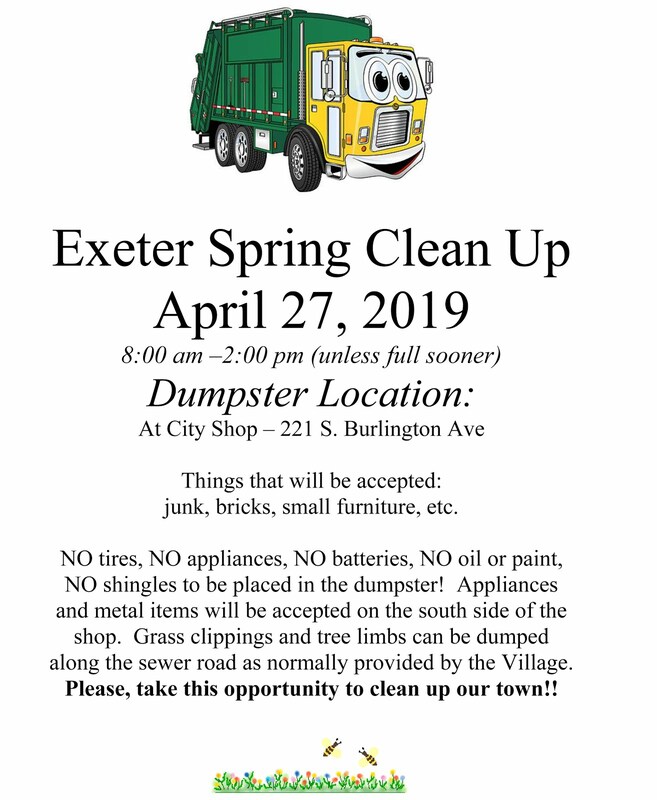 -Drop off coupons at the Exeter Public Library. -Tuesday's attendees will get to help select the military base(s) that will receive donated coupons. -Anyone who wants to help is welcome! 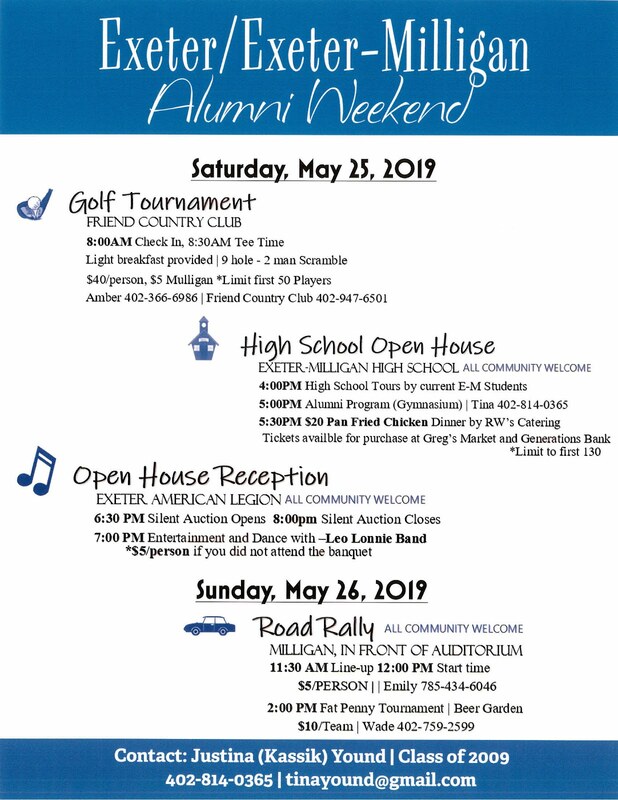 The Exeter Public Library will have extended hours 9 a.m. – 5 p.m. Saturday, May 28 for Exeter Alumni Weekend. 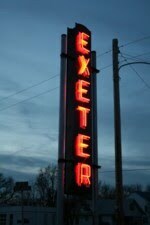 A collection of Exeter memorabilia, vintage EHS yearbooks, and other Exeter history information will be on display. Exeter Q125 history books will be available for purchase. Visitors from near and far are welcome to come in and see all of the exciting things happening at the Exeter Public Library!